My mom has always collected interesting-looking stones, but ever since dementia started affecting her, she no longer has the desire to keep her collection small.. haha, that’s putting it lightly. 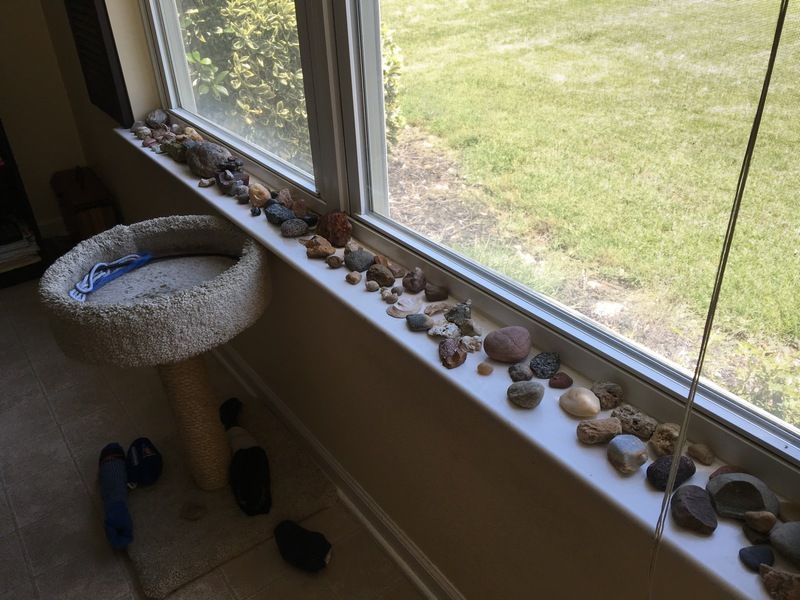 Windowsills, shelves, and countertops are all being taken over by her rock collection. I know it’s kind of a strange fixation, but they bring her so much happiness! Today after lunch, she pulled a bunch of ’em onto the table and held a little show & tell session with some of her favorites. She’s just so cute when she gets excited about her tiny fossils, big chunks of granite, various seashells, and (in one case) an actual lump of charcoal.. Haha. What’s pictured in the photos below isn’t even the whole of it. She’s got more on the fireplace mantle, on other shelves throughout the house, and outside in her garden beds. 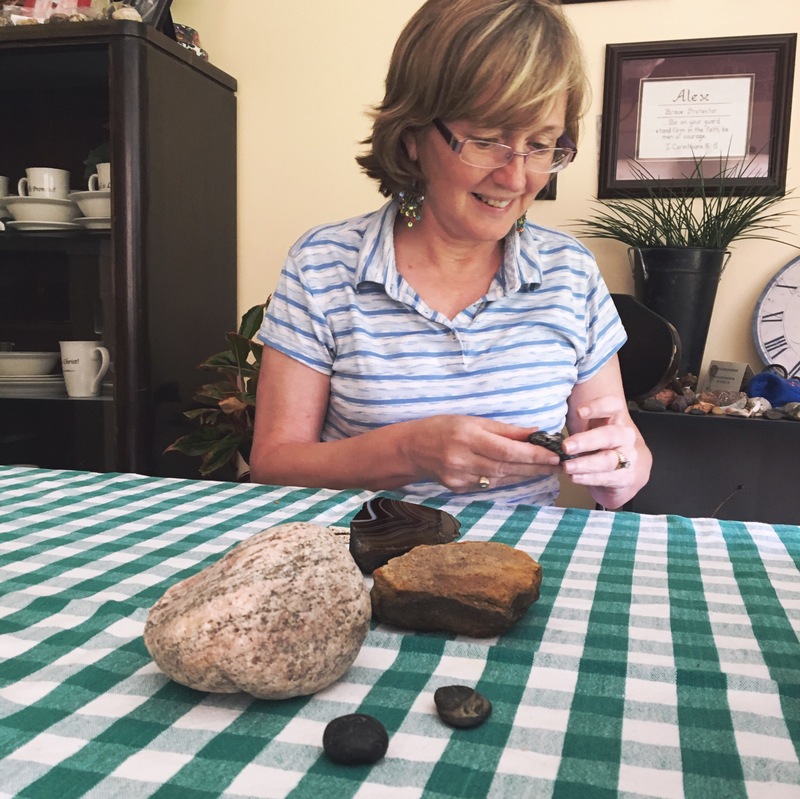 Her grandfather had a rock garden when she was growing up. They lived in Texas, so beyond a few cacti, a rock garden was the best he could do. She always talks about it fondly. I think that might be why she gets so happy about stones & pieces of granite today. It might also be a tactile thing – she likes holding them and running her hands over the different textures – but I’m not sure. 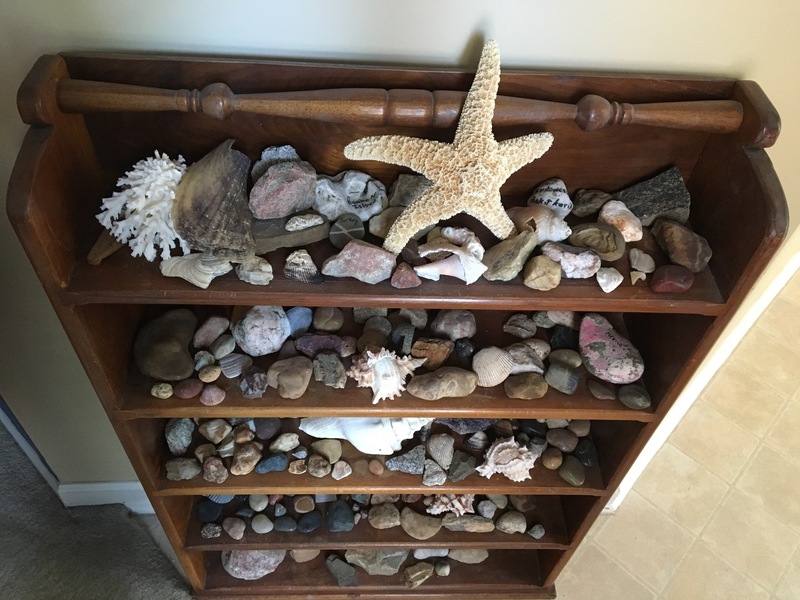 The reason she has so many is that she collects them while she and Dad are on tour, but she also has several friends who send her their interesting finds from around the world. I think it is really sweet. One of these days, I’d like to take some better pictures of her and her collection for posterity’s sake, and also because she really lights up when she talks about them. I’d love to have a good photo of that. I really love this. 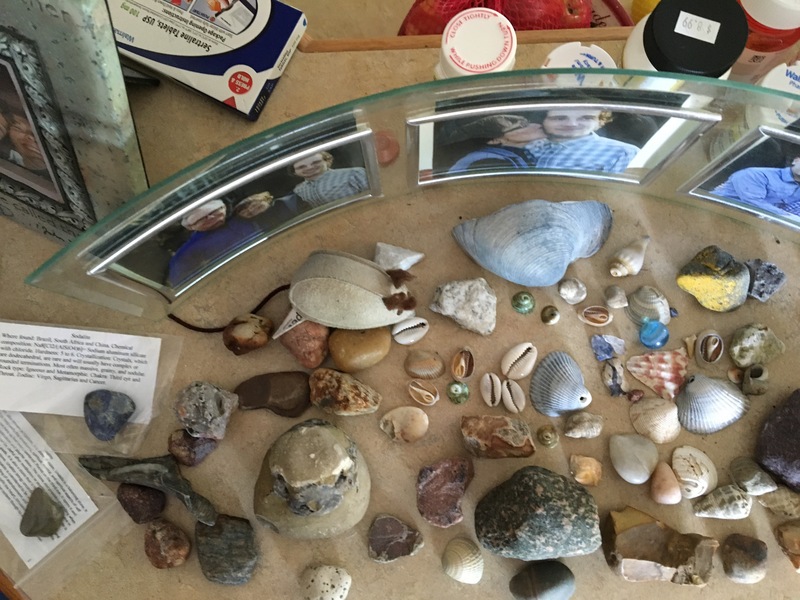 My room would be like this with rocks everywhere if my mum had just let me keep collecting rocks when I was a kid – I’m 24 but I still try to sneak the odd one past her 😉 It’s so sweet that her friends send her rocks too!! You should show this blog to your mom. I know she would be so honored. There’s something so grounding and peaceful about beautiful rocks. I love how your mom takes joy in the quietly simple beauty of them. Lovely collection! I love this. She’s such a beautiful person. She definitely has a bunch of rocks and shells. She could open a mini museum with these! How nice that she has something she is so into!